Tonda Rae Silinsky age 77, of Ashland, passed away Wednesday, February 20, 2019 at her residence. She was born February 14, 1942 in Dayton, Ohio, the daughter of Everett William and Virginia Jane (Kelly) Harbison. Tonda graduated from Belmont High School in 1960, afterward attending Central Academy School of Arts where she honed her “God-given gift” as a talented artist, illustrator, and designer. 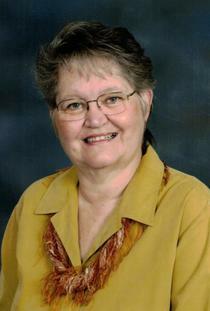 Tonda had been a resident of Ashland for the past 31 years. She was employed as an artist with Landoll Publishing, where she illustrated countless coloring and children’s books. She retired as the manager of Samaritan Hospital’s gift shop where many employees, volunteers, patients, and their families found warm conversation and a kind smile. Tonda had been an active member of Park St. Brethren Church and a member of the Richland County Lithic and Lapidary Society. She enjoyed painting, arranging flowers, designing unique jewelry, interior decorating and selling her one of a kind work at craft shows. On May 22, 1999 Tonda married Paul Stephen Silinsky who preceded her in death in May 2018. Survivors include her daughters, Karen Rae (Travis) Keefer of Ashland, Shelly Nalle of Jeromesville, and Cheryl Nalle of Ashland; her grandchildren, Tatum, Reese, Kenlie, and Presley Keefer, Addison Nalle- Icenhour, and Tanner Nalle; along with her great grandson, Zaiden Mann. In addition to her husband Paul, Tonda was preceded in death by her parents. A Celebration of Tonda’s Life will be held at Southview Grace Brethren Church on Saturday, March 2, 2019 from 11:00 A.M. – 1:00 P.M. with Pastor Mark Able officiating. Friends may visit with the family during that time. Heyl Funeral Home is assisting the family with arrangements. In lieu of flowers the family suggests memorial contributions may be made in Tonda’s memory to the Ashland County Cancer Association at www.ashland.cancer.org/donation or to Life Care Hospice of Wooster at www.lifecarehospice.org/donation.